When I was asked to tell in pictures the story of the Colorado river, I'll admit that besides being honoured to be asked, that I also felt a little overwhelmed. How could I, an immigrant settler, tell one of the most American stories of all? Before I even began I was humbled by the river's story. We know of the Colorado's significance in the spiritual and practical lives of the native peoples who lived in harmony with her flow. Historical accounts recall her part in the 'taming' of the west by European colonisers. Powell, his expeditions and novels were lauded for the accounts of their grand adventures down the river and her canyons, adding to the aura of the west. Her beauty is world renowned. As she winds her way around Horseshoe bend and carves her majestic path through the red sandstone of the Grand Canyon, she is the Mona Lisa of the natural world. Since the dawn of time she has been sculpting the earth as it rose to meet her, working her way to it's heart, unveiling it's history layer by layer as she went. For millions of years. In a relatively short timespan of 150 years humans industrialised and multiplied to such as extent that we felt compelled to change what a river had been doing for millennia. So along the Colorado we built massive dams and thousands of miles of infrastructure to control her according to the insatiable energy and water needs of 40 million of us across 7 states. But what is the complete story today that plays out along her foreshortened journey from the clouds to the sea? 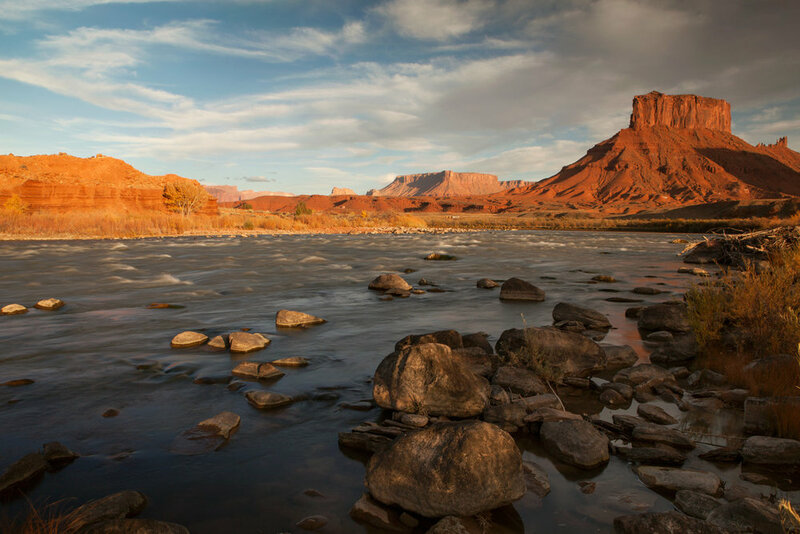 In September a first of it's kind lawsuit was filed in federal court in Denver seeking Rights of Nature for the Colorado river. The Rights of Nature movement seeks protections for nature that assert that nature has inalienable rights to flourish and regenerate regardless of it's use to humans. The concept of the Rights of Nature movement is built on the premise that If the corporations that profit from earth's resources have rights then why can't nature have rights? Why is one awarded privileges and protections and the other not? Nature is not our subject so why do we act like her master? Will Falk a writer, attorney and member of the activist group Deep Green Resistance is one of 7 individuals named on the lawsuit as a 'friend' of the river. Will and I came together to tell the river's story, highlight the case and prepare for what it's outcome may mean in the stakes to protect life on earth. What will it mean for us and other species if the legal system refuses to grant nature the protections she needs given the current crisis, that might save her from annihilation by corporations? Have you thought about what that world looks like? I have. When we can't watch the birds or hear their song anymore, when all the polar bears are gone, when we can't go to the beach because the beach is there no longer and the glaciers have all melted. The intrinsic worth of nature has no value in the industrialised global economy. An endangered species knows this and so too do 4 endemic fish species of the Colorado river on the brink of extinction. Whether or not you value life, one thing is certain. Extinction is forever. As Will and I began our journey, I realised that I had been perhaps a little naive to think that at the Colorado's headwaters in Rocky Mountain National Park, I would find some wildness intact. The reality is a river shackled by a canal called 'The Grand Ditch' wrestling her into compliance at her birthplace, sending her through valleys and rusty culverts to a series of reservoirs. From there she is forced uphill and through a 13 mile tunnel blasted beneath the peaks of Rocky Mountain National Park. From west of the great continental divide the Colorado is wrangled east to front range farmland and thirsty cities where no cities should be. This is just the beginning of her life. Moving southwest through her Upper Basin, along the Yampa and Green Rivers we followed a sea of oil and gas wells in Colorado and Utah. We took a random diversion off the highway near Roosevelt, Utah and followed it into the mesa, uncovering a litany of drill pads disembowelling the earth of it's carbon. Any road would have revealed the same thing. 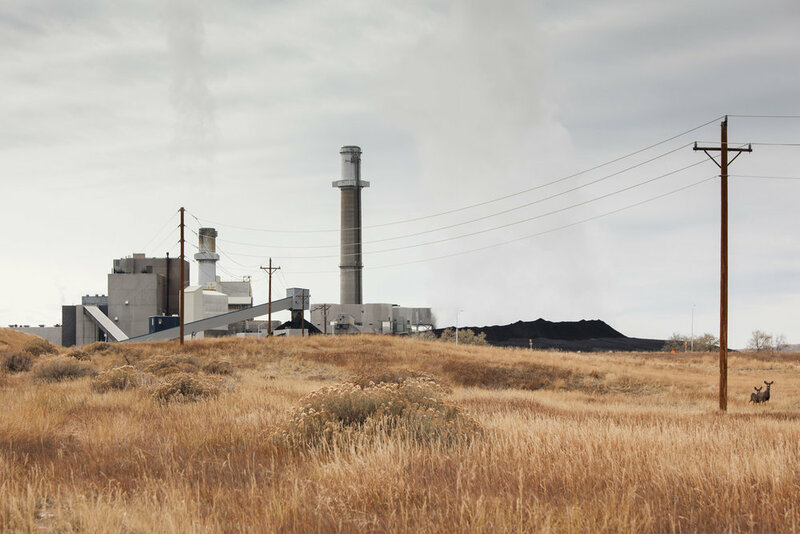 Coal fired power plants and their tailings ponds put the finishing touches on an industrial landscape where city billboards proclaim their love for coal and drilling. Out here is energy nirvana for oil and gas fracking companies getting drunk on the resources beneath America's public lands. However we spend our lives, one thing is clear. Nothing happens without nature. Without nature we have nothing. Yet nothing may be what we deserve. Though not what other species deserve or future generations who have played no part in our narcissism. We have a choice which we need to wake up to and act upon. Do we continue to let corporations do what they want? Including mining and destroying our lands, displacing us, poisoning our water and selling it back to us in plastic bottles? Or do we protect what we love and stand for something much bigger than ourselves? It's a choice between doing nothing or doing something. Wherever you are there's a Colorado waiting to hear your choice. My head spins and my heart sinks when I read the environmental news every morning. Today's headlines in the second week of 2013 include a new colour added to maps because the heatwave in Australia has gone off the charts, 2012 was the warmest year on record, 11 elephants shot in Kenya by poachers, the Alberta Tar sands is poisoning the water all around it. Just a sampling. We are screwed. The planet is screaming at us and we still aren't listening. It has it's head out the window crying for help, trying to prevent itself from choking on the smoke of a burning building. What do we tell the kids? That we were so selfish, so shortsighted, so greedy, so maladjusted, so evil, so anthropocentric that we just kept calm and carried on? Right now is not the time to be calm and carry on, business as usual. That passed a while ago. Do we tell the kids that we did nothing to stop the destruction by the corporations, did nothing to curb our own desires for objects that don't matter, did nothing to save species being wiped out every day so some guy in Beijing or Manhattan could get it up? To we tell them that we did nothing to stop the poisoning of our only lifeline, the planet that feeds us, that gives us the air and the water the only things that really sustain life, sustain us? When will we take responsibility? Which day of which week? Which day of which year will you get up out of your bed and say 'okay it starts today'? When will you say 'Today'? Today I'm going to make some change, do something, curb back on inane desire for stuff, take a cause onboard, teach my kids what's really important, be a better parent, aunt, uncle, brother, sister, daughter, son, be an example, a better example, help someone, stand up for the animals, stand apart from what has gone before so that what comes after is better for everyone and not just you? Which day is the day to stand up for a difference? When will be that day when we rise and really wake up? Let it be today. If there's anything we do today let it be this. On the 9th day of 2013, listen and do something. A delve into the photo archives today. At a tumultuous time in history unlike anything we've seen since the fall of communism in the east, today we watch as one by one dictators fall from power across the middle east. Dictators who've been in power for 30, 50 years and in the case of Bahrain the same family the Al-Khalifa family has been in power for 190 years. The revealing thing about dictatorships is that many of them are propped up by governments in the west. Only when popular resistance really takes hold do we then watch as these culpable western powers try to put some distance between themselves and the dictator. Only when access to the middle east's oil becomes threatened do we seem to care about injustice. Only then do we invoke our ideas of democracy abroad. The US, France, Italy and Britain are all guilty in this respect. In 1999 I was in London when Augusto Pinochet former dictator of Chile was arrested on the principle of universal jurisdiction while visiting the country. Pinochet ascended to power backed by the US and the CIA after a military coup that overthrew the democratically elected socialist leader Allende. Pinochet is alleged to be responsible for various human rights abuses during his reign including murder and torture of political opponents. It is estimated that he killed 3000 of his own people and tortured thousands more. These photos were shot in Trafalgar Square on Jan 17th 1999 during the 'March for Justice' when thousands called for Pinochet's extradition to Spain to answer charges of genocide and torture. He died without ever being convicted of any crimes of which he was accused. Let us hope that justice prevails in the middle east and that the people of the revolution will be allowed to become architects of their own democratic futures. Micah White is a Berkeley based award winning writer and activist who contributes regularly to Adbusters magazine and The Guardian among others. Late in 2010 he chose my photographs to illustrate 2 blog posts he wrote for Adbusters magazine on their BlackSpot blog. For those of you not familiar with Adbusters, it is an anti consumerist activist magazine published in Canada and distributed internationally. Past contributors have included renowned writers and activists Christopher Hedges and Bill McKibben. Micah is a frequent contributor to Adbusters and someone who when I discovered his work a few years ago stirred and inspired me to once again up the ante and do more. Both stories can be read in full by clicking on the image. The first blog is a review on John Christophers's 'Death of Grass' a novel on a post apocalyptic world, the death of nature and ecological collapse. The second is a piece on technology and activism. In it he examines the parallels between digital activism technologies that are built upon the ideologies of consumerism, marketing and advertising and asks can we thus using these tools, successfully achieve real social change which discards the age old values upon which our consumerist societies are built.